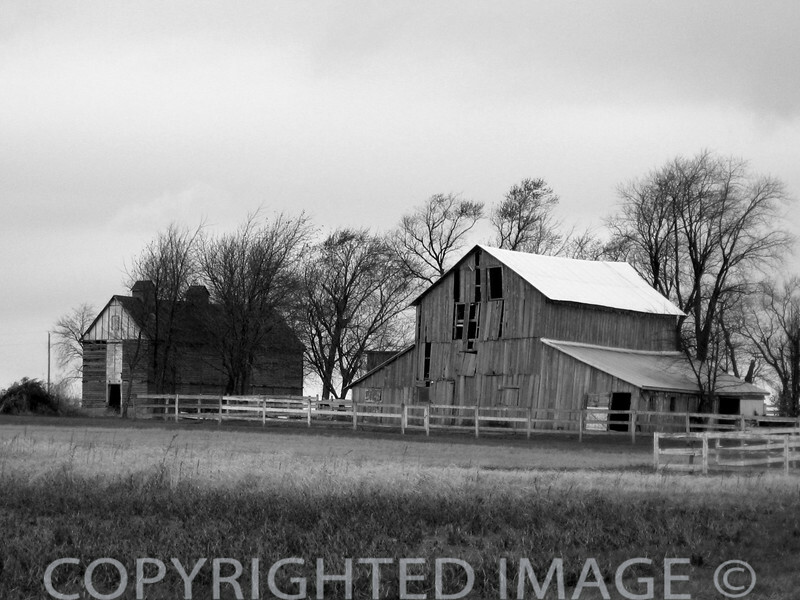 A classic farm in the American Midwest near Fisher in Champaign County, Illlinois. As it turns out, note the upwards pointing white "arrow" on the corncrib. White painted area of the "arrow" as compared to the now weathered areas of the horizontal wood / vented sections of the other exterior wall surfaces that were probably previously painted "barn red."